Andy Setters has many years’ experience in Human Resources, initially in the private sector and since 2004 as an independent HR consultant. He has worked in a variety of sectors including manufacturing, the NHS, private healthcare, central government, nuclear, automotive and not-for-profit organisations. Andy has been a Trustee Director of the Eden Valley Hospice since 2013 and before that spent 4 years as a Trustee of the British Safety Council. Originally from the south of England, Andy has lived in Cumbria with his family since 1984. Born and raised in a tiny North Yorkshire village, Archie started teaching in County Durham in 1969. He married Rosemary in 1972 and moved to the Upper Eden Valley as Youth Tutor at Kirkby Stephen in 1973. 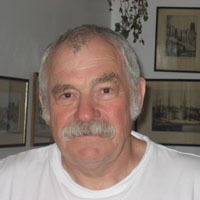 A founder member of Upper Eden Rugby Club in 1975, he took early retirement from the Connexions Service in 2002, followed by supply teaching until full retirement October 2013. In 1995 Archie became a member of Penrith and District CAB Management Committee as a representative of the County Youth Service and Appleby Town Council, now also sits on Citizens Advice Cumbria trustee board. 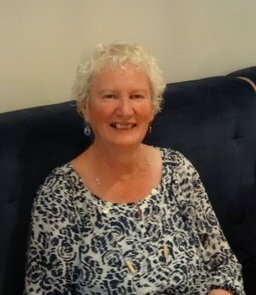 Judith lives in Carlisle and has been on the board of the organisation for over 6 years and is the secretary of the board. Working for Cumbria CVS, Judith works as County Volunteer Support Officer supporting volunteers across the County. “My career was in education working in primary and secondary schools, as well as in further education and as an advisory teacher in Warwickshire. I became national education officer for the British Dietetic Association before moving to development management at an educational charity. I was a non- executive director of North Warwickshire Community Health Trust. On moving to Cumbria I became a consultant to the county council working with schools in setting up after school clubs and study support, including the Playing for Success study centres at Carlisle and Barrow Football Clubs. I became a local magistrate, and chaired Cumbria Mentor Point. Bob Peckford worked in social work in Manchester and North Yorkshire, and spent twenty years as a senior manager in national charities. Most recently, for ten years he has been a freelance consultant in the voluntary sector. Formerly a Trustee of Eden Valley Hospice and member of the Ofcom Advisory Committee on Older and Disabled People, he is currently Chair of Statutory Complaints Review Panels for Cumbria County Council Children’s Services. Bob has been involved in Citizens Advice since 2007 – as a Trustee and Chair of Carlisle CAB and subsequently Chair of CACE. I am a chartered librarian but I spent most of my working life with Citizens Advice firstly as a volunteer then in paid managerial roles in Hampshire and Cumbria. Currently I am involved with a number of organisations in a voluntary capacity including the North West Ambulance Service (several roles) and OPCC as a custody visitor and animal welfare visitor. I am also a Heartstart Instructor. I have also worked with animal charities and have a number of rescued animals which take up my spare time. Kate qualified as a solicitor in 1983 and for 25 years was a partner/director in Scott Duff & Co. She was based in Penrith but also spent time in the firm’s Keswick and Carlisle offices. Her practice was broad based but in later years she spent most of her time on family and property work. In the 1980s she provided advice to Citizens Advice clients under the solicitor’s rota agreement which operated at the time and is acutely aware of the need for free and independent support and advice in relation to a wide range of issues. Kate has significant management experience and as a lifelong Eden resident is very aware of local needs. Following three years’ commissioned army service Mike Taylor graduated from Cambridge in History and Law and spent 22 years in management in Shell both overseas and in the UK. Subsequently he has held a number of posts in the public and third sectors – CEO MCI, Chief External Verifier IIP UK, NED Walton Neuro Centre NHS Trust, OUBS MBA Lecturer, Deputy Chair West Cheshire College, Chair West Chester Regeneration Board, Chair Chester Aid to the Homeless (CATH), NHS Appointments Commissioner, Chairman Council of Reserve Forces & Cadet Associations (RFCAs), Honorary Colonel Commandant Royal Artillery and DL in Cheshire. He was Chair of Cumbria’s Third Sector Network, Chair of NHS Cumbria (and thus ex officio Co-Chair of Cumbria’s Health & Wellbeing Board and member of Cumbria Leaders’ Board), Chairman of St John Ambulance Cumbria and is now Chair of Cumbria Partnership NHS Foundation Trust.